I’ve finally finished making the puppet’s boots! I think this is about the most complicated thing I’ve ever made. They are 19% of life size. 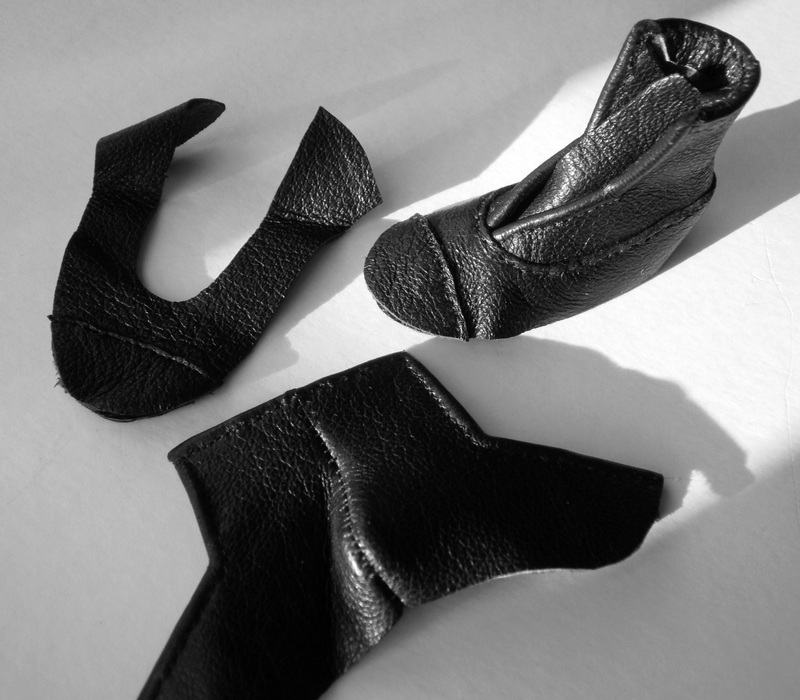 After making the pattern and cutting out the pieces, which is shown in my previous post titled Puppet Costume Part 3: Boot Pattern, I sewed the pieces of the uppers together. One boot upper is together and the other is in progress. 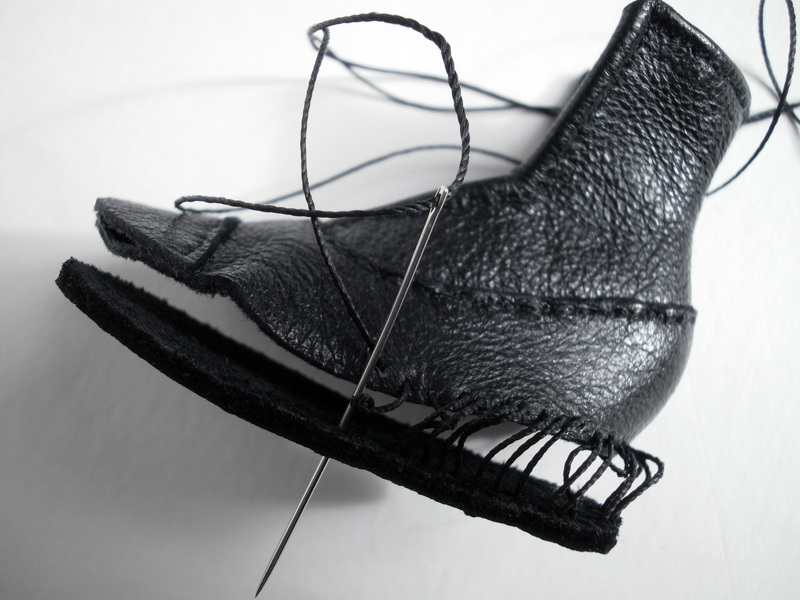 Once the uppers were completed, I sewed on the sole. This process was very slow and tedious. My goal was to have the seam of the upper turned under. To accomplish this on such a small scale, I sewed it together loosely first. 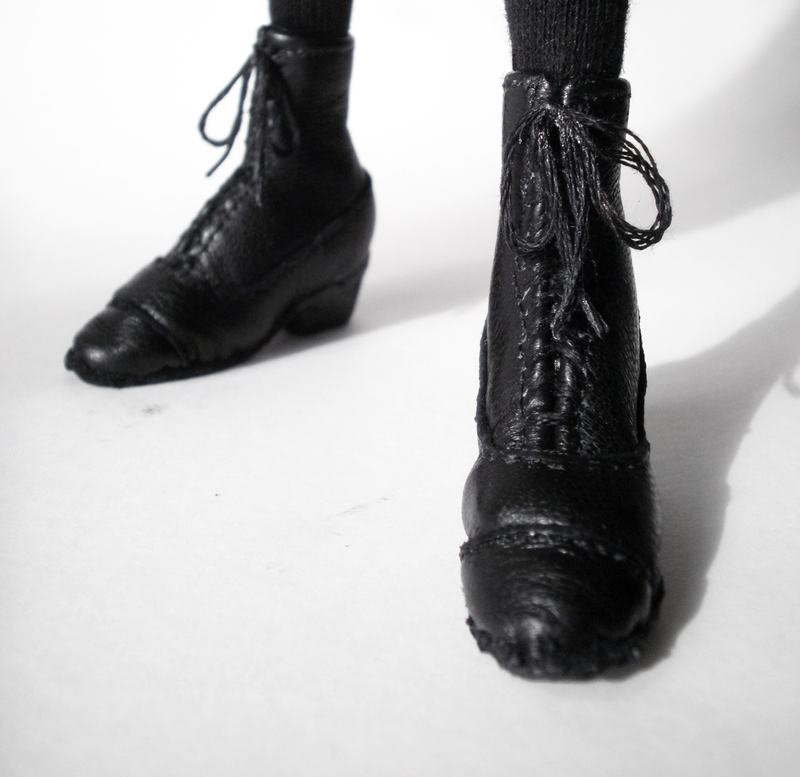 Then I slipped the boot onto the puppet’s foot and tightened the stitches one by one using a very tiny crochet hook. Once the sole was in place, I added the waxed embroidery floss laces by stitching them in place because grommets don’t come this small. Then I made heels out of sculpey and attached them with hot glue. Wow. I am in awe. What beautifully neat little boots.